Manama : Carlos Kremer is confirmed as the main announcer for the twelfth edition of Brave Combat Federation hosted in Jakarta, Indonesia. Having hosted every other editions of Brave Combat Federation, Kremer has also hosted the weekly editions of Brave News which has completed 42 editions. The former heavyweight boxing contender from San Diego, is also a veteran who served at the U.S. Marine Crops. Kremer had hosted various radio shows in San Diego, and has appeared on famous TV shows such as The Dating Game, American Choppers and Gene Simmons’ Family Jewels. 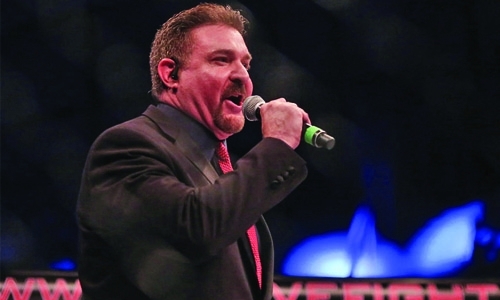 During 2017, Carlos Kremer has won the award for the Top Cage Announcer of 2017 issued by Fightbook MMA. “I am thrilled to return to Brave Combat Federation and it will be an iconic moment to host the first edition of the event in Indonesia. With events hosted in additional destinations the global foot print of Brave Combat Federation is increasing at such a rapid pace. It is an honour to be a part of every edition of the event hosted by the promotion and to be known as the voice of Brave,” said Carlos Kremer.